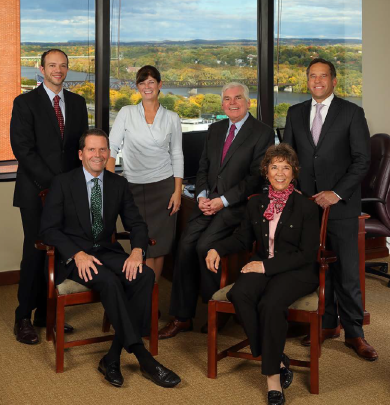 Our team was originally formed in late 2008 during the middle of the financial crisis when Bert, Tim, Brian and Gail agreed to create a new entity at Morgan Stanley. During a time of great market stress, we learned that a team-focused approach was the best way to better serve our clients in what we believed would become a more complex financial world. Decades of combined knowledge allowed us to harness our separate strengths and offer clients our focus on capital markets; asset management; and corporate retirement plans. In early 2013, John and Shirley joined our team adding his accounting background and estate planning expertise to the team’s depth while also adding to a very strong client support staff. Overlooking the Hudson River from the 12th Floor in downtown Albany, we operate in an open floor plan with no individual offices where we can work cohesively to provide objective and customized advice to those who desire a high level of personal service and advocacy in all wealth matters. We believe that a portfolio should fit the client; not that a client fit the portfolio. Compliance with this philosophy requires a comprehensive review of a client’s financial picture so we may construct personalized portfolios based on our client’s goals, time horizons & risk tolerance. Oversight of this process and investment selection is provided by the Hudson River Group with appropriate client reviews thus helping to ensure that investments reflect the client’s needs. Bert has a rich and deep forty plus year background in financial services. He has been active in public finance, corporate finance, bond and equity trading and money management. 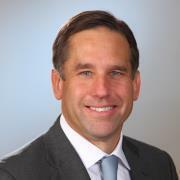 He has served on the Executive Committee of First Albany Corp & Cowen and Co. Bert was also a founder and Chairman of Capital Bank and Trust, a local community bank and a founding director of Thoratec Corp; a California based medical technology company. His deeply held belief in community is exemplified by his twice serving as Board Chair of St Peter’s Health Care Services and treasurer of the Albany Institute of History and Art. He served as the first chair of the combined Albany Academies. Currently, Bert sits on the Boards of St Peter’s Foundation and on the Finance Committee of The Albany Academies. Raised and educated in Albany, Bert and his wife Debbie live in Slingerlands NY, and their son Zachary in Boston. 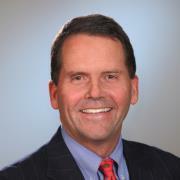 John has worked in the financial services profession for nearly 30 years. He joined Morgan Stanley over 20 years ago as a Financial Advisor trainee and has concentrated his efforts on working with high net worth individuals and business owners with a focus on asset allocation, financial planning solutions and wealth transfer. John has completed the firm’s Family Wealth Director program which has identified a highly selective group of financial advisors to work with high net worth clients. 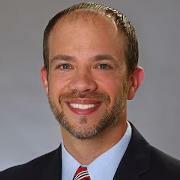 Prior to joining Morgan Stanley, John spent ten years at local accounting firms and is a former CPA. He is an active member in the community and has served on several boards during his career including the Boys & Girls and Albany YMCA. John and his wife Margaret reside in Loudonville with their three children. 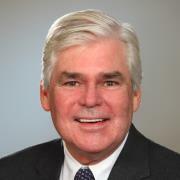 Tim’s investment advisory experience spans overthree decades as a Financial Advisor at EF Hutton & Company; Branch Manager/Financial Advisor at First Albany Corporation; and Financial Advisor at Wachovia Securities prior to joining Morgan Stanley as a Financial Advisor and Portfolio Manager. Tim also serves as an industry arbitrator for the Financial Industry Regulatory Authority (FINRA). Originally from Schenectady, Tim is an alumnus of The Albany Academy and Union College and is active in the alumni affairs of both schools. A passionate college hockey fan, you may see him on the Union campus rooting for Union’s decorated men’s ice hockey team. Tim and his wife Jessica have a young son Connor - brother to Tim’s two other children, Stephen and Eliza. Brian has a decade plus of investment advisory experience working his way up the corporate ladder alongside Bert & George starting as an intern in 2001. His passion for the investment business started while earning his Bachelors of Science in Business Administration with a concentration in finance from the University at Albany. Since his intern days of sitting in front of a Bloomberg Terminal, Brian has focused on both fundamental and technical analysis. He is a Chartered Market Technician and a member of the Market Technicians Association. Brian, originally from Long Island, currently resides in Niskayuna, NY with his wife Dawn and children Lily and Jacob. An avid baseball fan, he is usually seen rooting for the New York Mets. 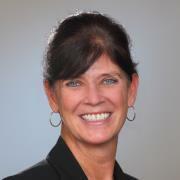 Gails experience in the financial service field has spanned 30+ years. After receiving a Bachelor of Science in Finance from Siena College, Gail was employed by a local banking institution, a personal financial planning company, and then began her career with Shearson Lehman Brothers. There she gained knowledge of the markets from equities to commodities, as well as obtaining her FINRA Series 7 and Series 3. She worked as Branch Administrator, Assistant Vice President, for nine years in the Albany complex before joining the team. Gail was raised and currently resides in Saratoga County where she focuses her free time on competing and training in the equestrian discipline of Dressage. She has served as Treasurer for a local Dressage Association. Cooking, gardening and family fill up the remaining free time.